The new hatchback STI isn't bad. I thought it was ugly at first, but the look grows on you and the whole hatchback thing isn't that bad. The new STI is ok, I prefer the older ones by a lot though. My favorites are the ones from like 8 years ago. 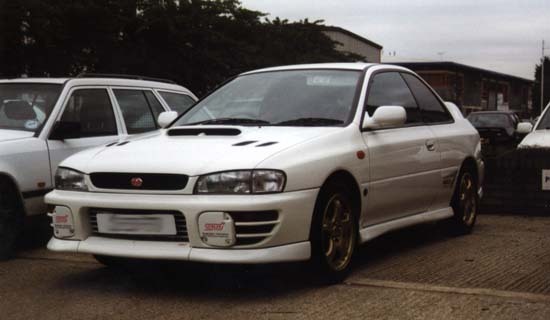 Or the old 2.5RS body style around 98 or so. The Camry on steroids look really does it for me. Just too bad they never brought early model STI's and Evo's to the US. Yeah its an improvement over the last gen STI in the performance department, but like you said it grows on you. What? The new STI? I thought it comes with a standard 6 speed manual. EDIT>>> Yeah. Just checked, it does come with a standard 6 speed. Yeah. I think the standard Impreza 2.5 has paddles. I know the WRX has a 5 speed and the STI has the 6 speed.